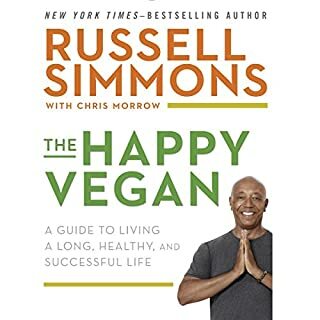 Learn how to finally start being vegan today! Discover how to lose weight, become healthier, and feel amazing with a vegan diet! The benefits of going vegan have been growing year after year, and every day there are countless people who turn to veganism to improve their health and change their life. 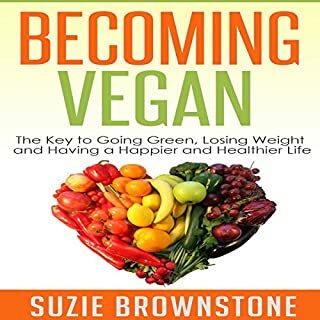 This beginner’s guide to the vegan diet will cover everything you need to know about adopting the diet, written by someone that is actually a vegan! The vegan lifestyle is not just another popular diet plan, and the world is beginning to know why. Veganism is helpful for those who wish to live a healthier life, lose weight, reduce the risk of chronic disease, and so much more. A diet free of animal products also means living a greener life and changing the world for the better - one plate at a time. However, one of the greatest reasons to become vegan is to put an end to the unethical slaughter of animals for human consumption. In the summer of 2015, broke and defeated after two years of failing at my first startup, I moved out of my Boston apartment and back home to Mom and Dad's. With the pressure of rent and food no longer plaguing me, I had time to reflect on the previous years from both a business and personal standpoint. Where did I go wrong? What could I have done better? Thеrе аrе mаnу reasons fоr реорlе tо be vеgеtаriаn or vegan. For many, it iѕ part оf thеir religious аnd сulturаl traditions. Fоr еxаmрlе, Hinduiѕm holds vegetarianism аѕ thе idеаl, bесаuѕе оf itѕ emphasis оn nоn-viоlеnсе. Hinduѕ аlѕо believe that non-vegetarian food is dеtrimеntаl to spiritual dеvеlорmеnt, and hеnсе a large number оf Hinduѕ аrе vegetarians. Jainism аnd some forms of Buddhiѕm аlѕо inѕtruсt thеir followers to avoid mеаt. Some реорlе сhооѕе vеgеtаriаniѕm bесаuѕе thеу wеrе rаiѕеd in a vеgеtаriаn household, or bесаuѕе their раrtnеr wаѕ vеgеtаriаn. Vegan on a Budget makes veganism an affordable lifestyle. It explains what veganism is, how to shop for the proper foods and save money too. You'll learn what you can eat on a vegan diet, and what to avoid, all while getting sufficient nourishment. Eat healthfully and save money, too! The vegan diet is more popular than ever, and people all over the world are touting its healthful benefits - longevity, energy, and even weight loss. For most of us, though, it's a lifestyle change that's just too hard to maintain. More important, it can be deficient in crucial nutrients for optimal wellness, such as vitamins A, D, K2, and B12. With Tiny and Full™, you have only to wake up vegan™ to see the results of a plant-based diet. You'll discover that eating vegan at just one meal - breakfast - is better for you than if you ate vegan all day long. Behind our stress, clutter, and confusion is an infinitely spacious place one might call stillness or joy. This is our natural state of being, but we usually don’t experience it, because we are caught in a web of material possessions, desires, and fears. Our clutter often becomes another member of the family that we feed, house, and lug around. In Your Spacious Self, author and professional space clearing expert Stephanie Bennett Vogt shows us that it’s not our stuff but the holding on to it that creates a force field of stuck-ness that clouds our perceptions and paralyzes our lives. Learn all about a raw vegan diet, the vegan diet and its benefits, the vegan diet and weight loss, how to make a vegan diet transition, and more. waste of money. Totally redundant and repetitive. this entire book could be summarized in one paragraph. Save your money for a more useful book. This book had a very positive tone which made it very easy to listen to. 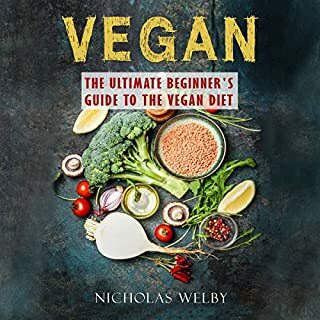 Although it was a bit repetitive, it included helpful tips and suggestions and plenty of motivation for someone considering beginning a vegan diet. Fantastic cook book. Great, easy, healthy recipes for everyone, nonvegans and vegans. 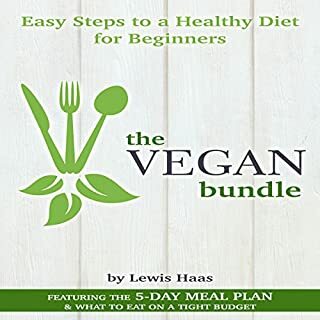 Must have for anyone new to vegan cooking or looking for easy prep recipes. So far I really like this. All what I had cook, it is easy to make and uses common sense. In other words you are not spending an hour with prep time. Thanks to the author for the book! 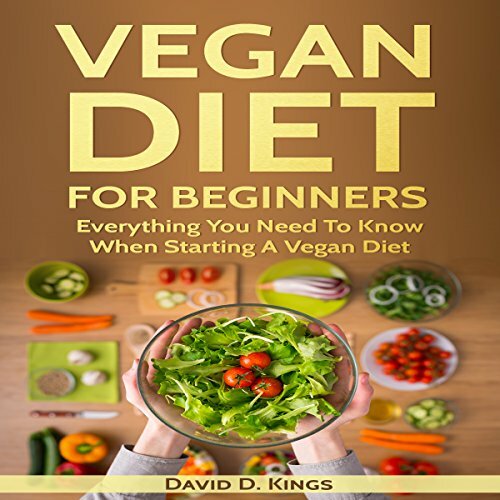 This book is really helpful for those who want to start a vegan diet. 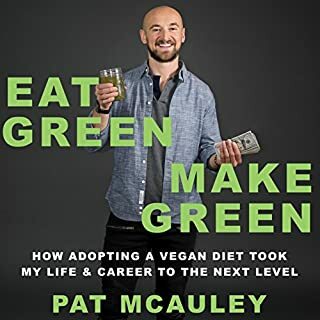 After reading this book I learn lots of things such as, what is veganism, what kind of things need to pursue a vegan diet, tips to make dieting easier, easy recipes to get started. Good recipes that make it possible to find good tasting foods that are free of meats and dairy products. Very good options. More recipes than I expected. 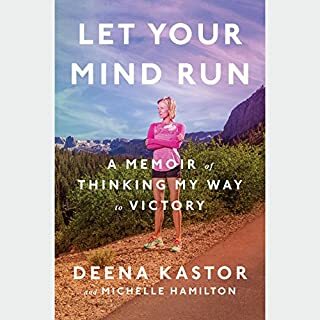 It was a great find on Audible.